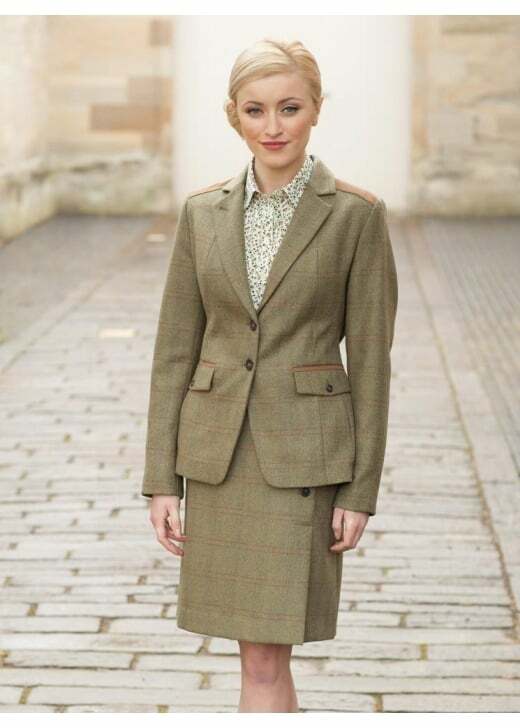 The Dubarry Pearlwort Blazer is a two-buttoned tweed style jacket perfect for every woman's country wardrobe. The Dubarry Pearlwort Blazer is a two-buttoned tweed style jacket perfect for every woman's country wardrobe. With a tailored fit and faux suede trimming, this jacket exudes quality and a country chic feel inspired by the field yet perfect for the city. Showing our 1 review for Dubarry Pearlwort Blazer. Beautiful, it was a gift and love at first sight. Great workmanship and attention to detail. Will definitely use your company again.